We talk often about what Project Based Learning does for instruction, but what about its effect in and around the community? 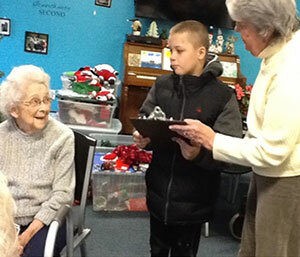 Recently, a group of students in the OCM BOCES 12:1:1 STAR classroom (Skills Toward Adult Responsibility), led by an exceptional teacher and teaching assistants, completed a project to master literacy standards, namely writing and speaking, while also learning about Civic Participation, as part of the social studies curriculum. 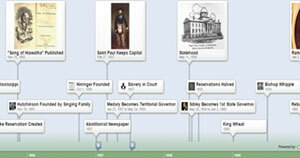 Planning for Public Products—a Piece of Cake! From PBL 101 training, we learn that student teams answer the driving question or solve the problem through their public product. The public product is used to display student learning, which is presented to an audience who will provide feedback for improvement with the product and/or the accuracy of the learning. Students of all abilities require opportunities to question, grapple, and wonder. I don’t think we often do this, give the floor to the students, let them ask questions, and more importantly, let those questions live in the room. That’s what is so powerful about establishing a routine where questions become the fuel for inquiry, an essential of Project-based Learning. Special educators recognize that risk-free inquiry is necessary for all students. As a PBL coach, I visit special education classrooms, and I watch as teachers analyze tasks and scaffold inquiry with their students. They realize that a questioning culture needs to be planted and nurtured. There is a shared understanding that their students, perhaps even more than others need to ask questions, and what safer place to engage in supported inquiry than in the classroom? One particular teacher decided to first facilitate a culture of inquiry before embarking on an extensive PBL experience. Given her students’ notable cognitive delays, she chose an accessible text that provided an engaging opportunity for them to wonder. 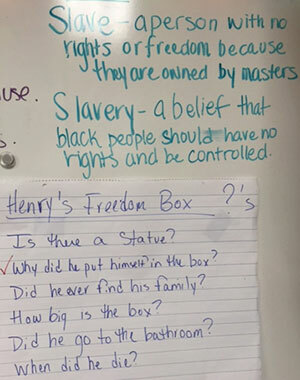 They are reading Henry’s Freedom Box, by Ellen Levine, and while the class was charting their “need to knows”, this teacher noticed that when she opened the floor for questioning, interest grew. Because they owned the questions, students had a reason for reading, and even better, began researching other sources beyond the text to find answers. Also, by utilizing a text that students could comfortably access, more emphasis could be placed on supporting students to ask varied questions. Gold Standard Project-based Learning promotes sustained inquiry as an opportunity to “seek information or to investigate.” This can be done by all kids, no matter where they fall developmentally. Perhaps, this iterative process, or spiraling nature of knowledge gathering serves struggling students because they can gather and seek to understand information without being pushed rapidly through content. While engaged in inquiry, students and teachers break away from the text, with the understanding that information can be found in a variety of sources. 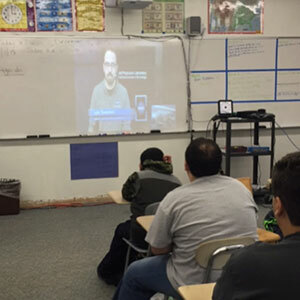 I had the pleasure of sitting in class while special education teacher Christine Wood’s students at Liverpool High School (New York) were interviewing an employee from the Jet Propulsion Laboratory at the California Institute of Technology. As part of their research, the students asked a NASA employee prepared questions, such as “What makes up a galaxy?” and “How many stars are in space?” When scaffolding was necessary, the teacher or assistants were present to support the formulation or communication of questions. But most of the time, they tried to stand back and allow for interaction between the students and NASA educator. As I watched the students ask, then wait expectantly for answers, engagement was evident in the way they leaned forward and seemed to hang on to every word the specialist said. This “field-based interview” brought an authenticity that moved students beyond articles and text books, laying the groundwork for a culture of inquiry as they move on to more project-based learning experiences. Crafting a list of “need to knows” will become second nature, expected really. And these students will be ready for that, because their teachers are facilitating the learning by opening the door to inquiry and by assuring them that every question holds value. 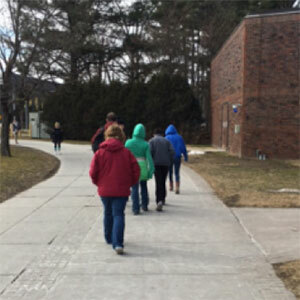 Students with special needs desire to know that what they say, or in this case, what they ask, is valued so they might continue to approach the world around them as active, engaged self-advocates. And, just in case you are wondering, there are 2 hundred billion stars in our galaxy alone… I learned that from the NASA expert today. Dream Big, Design the Dream and Go for It! The fundamentals of Instructional Design are design, develop, implement and evaluate. That is my perspective as a graduate from Syracuse University’s Instructional Design, Development and Evaluation program. 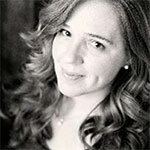 The purpose of this article is to explain my Instructional Design (ID) process in an effort to help educators with creating learning activities that are highly effective and prepare students for 21st Century challenges. What is a Project Based Learning environment? What does it look like? In my classroom, PBL looks and feels like controlled chaos. The notion of giving up control in the classroom is mind blowing for most teachers, including myself. But when you see students taking ownership of their learning, that restiveness pays off. When students are engaged in a Project Based Learning activity, they are accessing prior knowledge that was delivered in your classroom (or in other classrooms for an interdisciplinary approach) and apply that knowledge to a learning activity. Designing a PBL learning activity allows the educator to identify the outcome of instruction delivered in one, or many, classroom settings. For example, my goal is to get my students hired or accepted into the college of their choice. I use PBL activities to directly prepare my students for 21st Century challenges and opportunities. My students demonstrate professionalism and confidence building through conference calls with corporations, presentations to judges (including teachers and administrators), and through collaborating with business leaders in the community. In my view, my classroom is practice for the corporate or college world. Within your classroom walls lies the opportunity to make mistakes, learn from mistakes and move forward without looking back. Businesses and colleges want to accept and hire students with this competitive edge. Designing PBL learning activities that engage students in deeper learning is one way to provide that edge to our 21st Century learners. Let’s shake things up in the classroom and write a completely original learning activity! Start with a goal that you want your students to realize. For example, my goal is for my students to employ Skype in a professional setting. Next, determine what exactly you want to see your students accomplish at the end of this project. Then, write a performance objective that more specifically states what the student will do and what you will measure. For example “the student will answer three questions via video conference with a community member.” One good way to map your ideas is to describe the steps you will take for the project. The critical element of implementing a PBL activity into the classroom is to “let go” and give up some control in your classroom. You are the facilitator of learning. You are observing interactions, taking note of gaps, assessing student development and providing feedback as needed. The Project Based Learning environment is fluid, always moving without boundaries. I find that by stepping out of the driver’s seat, my students begin to self-regulate and take ownership of their learning. This is the power of the PBL environment. Now that you created the PBL activity, it is time to evaluate student performance. I like to provide verbal and written feedback as my student’s progress through the project as well as provide the formal evaluation at the conclusion of the project. I provide students with a performance based rubric. As part of the learning process, I typically allow students to revise their work leading up to the final due date. Corporations will offer feedback to an employee before publishing a piece of work so why not afford students the same luxury? This is planning for the world of careers and college. 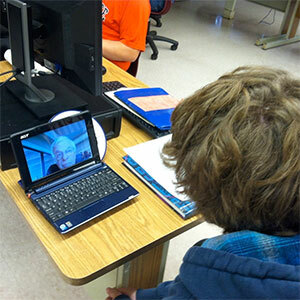 Here is an example of how I attained my goal of Skyping with entrepreneurs in the classroom. I wrote a PBL learning activity after being inspired by Skype logos on display on the Microsoft campus and as a result implemented a new learning activity. My learning activity, CEO: Collaborative and Enterprising Opportunity, paired students with entrepreneurs coast to coast via Skype for help with developing the business plan. Once I had my goal in mind, the learning activity started to unfold. I wrote the program and had students collaborating with entrepreneurs via Skype for a period of five weeks. Students had scripts with questions and the entrepreneurs had guides to follow for discussions with students via video conferencing. As my overriding goal is to get students hired or accepted to the college of their dreams, this program directly prepared students for challenging career moments including meetings on-line. Students and entrepreneurs alike were anxious and honestly fearful of what the process would entail but those emotions were quickly replaced with excitement and drive to complete the project. As a capstone, I brought in local business owners to review the business plans Shark Tank style. Students went through an observable metamorphosis as a result of participating in the program. It is my sincere hope that this blog helps educators to write their own learning activities and implement. The most important step is going for it…try it out once and evaluate your process later. Please let me know if I can be of assistance to anyone working to write and implement a new learning activity. Now go for it!